Created with the music lover in mind, the Sennheiser RS 185 now makes it possible to enjoy dynamic, high-fidelity Sennheiser sound at home without the hassle of wires. These innovative, ergonomically designed, wireless open headphones deliver amazingly precise sound reproduction in uncompressed digital quality even as you wander from room to room, and they are light and comfortable enough for extended periods of use. Furthermore, the conveniently located manual input level and balance controls make setting the listening levels to your individual preference a snap, so you’ll be able to fine-tune the details of each track in stunning acoustic clarity. Just connect the multi-purpose transmitter to your home sound system (via optical or analog inputs) and lose yourself in the music. 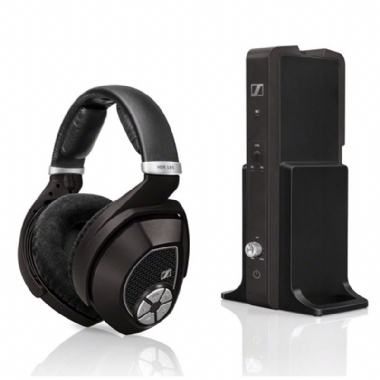 Sennheiser’s RS 185: The right wireless choice for serious listeners.